Wow.. 2018 passed by so quickly! It was a busy one for me, the busiest yet! Even though I have done this since 2015 it was strangely enough my first full year as a family photographer. I had a baby and maternity leave in between. One of my favourite things to do in January is looking through the shoots from the previous year and create a little video. It makes me so happy to see all the moments I got to share with the families who trust me to take their family photos. Wether it is playing tag in a park or meeting first time parents with their newborn. It is all very special and makes me feel very lucky to do what I do. There is no way that I could include all my favourite moments but here are some of them! I hope you enjoy the video, comment below if you spot yourself or let me know which photo is your favourite. Not all parents wants pictures of their children online so I have not included them in this video (even though I would have loved to!). I have just gotten back home after a wonderful (albeit wet) Christmas holiday in Sweden. These days between Christmas and New Year are, for most of us, a time for reflection and a chance to look back at the year that has just passed. I have been so lucky to get to photograph so many wonderful families this past year! To me it is an absolute honour to be invited to help you capture a moment in time with the people you love the most. Some of you have been with me from when I started out and I absolutely love to see your babies grow in to little people. I have put together a little video that captures some of my favourite moments from the past year. I hope you enjoy it! After a summer that ended way to quickly I am so excited to launch my first set of mini sessions. These are ideal for those of you who are looking to update your frames at home or if you want to get your Christmas cards sorted early, or perhaps as gifts for the grandparents. These are morning sessions and will take place in the a local park surrounded beautiful warm and earthy colours that will look great in photographs! These autumn mini sessions cost £120 and includes 10 digital images ready for you to download to your computer. The session lasts for approximately 30 minutes. Before the session you will receive a "What to expect guide" with information on how to prepare including tips of what to wear. Approximately two weeks after the session you will be presented with an online gallery of 15-20 images from your session. From this gallery you can choose your 10 favourite images which will be downloadable to your computer. You will also receive 15% off on any prints or products. Mini sessions are suitable for babies over 4 weeks & families up to 5 people. Please get in touch to reserve your slot asap as the slots go quickly. I will require a £50 slot reservation fee which will be deducted from your mini session fee. 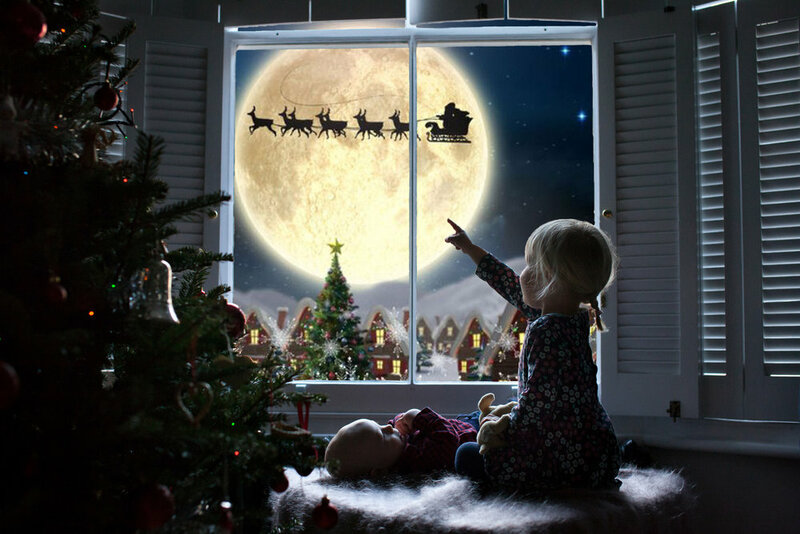 If you are looking for something different for your Christmas cards this year I will also be holding "Santa over the moon"- mini sessions. Are you wanting to get some nice pictures of your children but don't feel that you get a genuine smile? I've been thinking about this one for a while. What are the absolute best tips to make your child smile in front of the camera? I think we've all been there, getting to a lovely location and they are either bored, grumpy or give you a fake smile. 1. Do NOT say cheese! This word has always baffled me. If anyone can explain why we keep saying it please do! Looking at pictures of children with the "cheese smile" all I can see is a fake grin and all their teeth. Is that what we want to print and have framed on our walls? Try using a different word instead, like "smelly socks", "sausages" or "national encyclopedia". My daughter had a really bad habit of saying cheese, I am not sure where she got it from but I started telling her; "do not say cheese, if you say it again I will tickle you instead!" That usually makes her giggle and I take the photo then instead. Ask them questions about their life, favourite animals or food. Tell them about your (pretend) favourite food "I love pizza with sausages and strawberries and cheese and ice cream". Ask them about their friends and hobbies or games they play. If you are photographing an older child ask them if they have a boyfriend/girlfriend. That tends to result in some shy or shocked smiles. This works when you are standing close to the children. If the children are zooning out and looking at something in the distance or are just plain bored. Give them a little tickle and then tell them that you will do it again. That usually results in some fun smiles. Sing a well known song and replace a word with something silly; for example "twinkle, twinkle little...sausage" or mix up the letters in the ABC song "A, B, C, D, K, R T." Do you have a younger child? Talk about different animals and ask them "Does the dog say 'Meow?' Does the horse say 'Baaaaa?' ." Kids always look at me like I am the silliest person they've met and laugh out loud. I don't know about your children but my eldest have a habit of doing the opposite of what I tell her to do. So this tip is the one that has worked the best for me recently. I get very serious and tell her that what ever she does she must absolutely not smile; "I told you NOT to smile! No, don't smile!!" Her mischievous side usually gets the better of her and results in cute giggles. The image above shows the steps I went through to get the image I wanted. I know, this is probably not what you were hoping for when looking for tips on how to achieve smiley photos but sometimes this works wonders. Yes, you get some strange pictures that you may or may not want to print but do not put your camera down after they've made their silly face. Children think this is hilarious and it is their expression afterwards that I am looking for. Bonus points if you pull some yourself! That will probably make them laugh even harder. Side note: This is something I do as a last resort or at the end of a session as they might think it is so funny that they keep doing it. 7. Ask them to laugh as loud as they can.. ...But don't put your camera down after you've captured a picture of that loud laugh. Just like in some of the points above, make sure to keep your camera up. It is what happens afterwards that tend to be the sweetest moments. When they laugh at themselves for being so funny/silly. Those are the candid moments I look for when photographing children. Like with most things in life - especially with children - it is not what we say but how we say it. So depending on the personality of you child you will get a better outcome with all the points above if you are really animated when you deliver the lines! I am not going to lie, I am a bit embarrassed over how long it has been since I wrote my last blog. It has been MORE than a year! Remember when you were a kid and the adults kept saying how fast time goes by and all you feel like doing is rolling your eyes and thinking "I will never say that"? Well.. here I am saying just that! Some of you may or may not know that I had a little baby boy last summer, so I went on maternity leave almost exactly a year ago and started up again properly this spring. It has been a juggling act trying to stay organised with two young children at home, as well as keeping the business up and running - not on a negative note at all, I love it! However blogging and social media have taken something of a backseat while it has been my family and my clients who have come first. I am very excited to be taking bookings again. One of my favourite things about my job is meeting new (and old) families and helping them capture memories that will last a lifetime. As this is the first blog for so long I thought I would make it a personal one and share some pictures of what we've been up to this past year. Oh, they grow up so fast don't they! The first few months being a mother of two were tough - really tough- but I wouldn't change it for the world. I love seeing them interact more and more each day, and apart from an unnecessary tantrum here and there and an occasional hair-pulling incident, they love each other to bits.